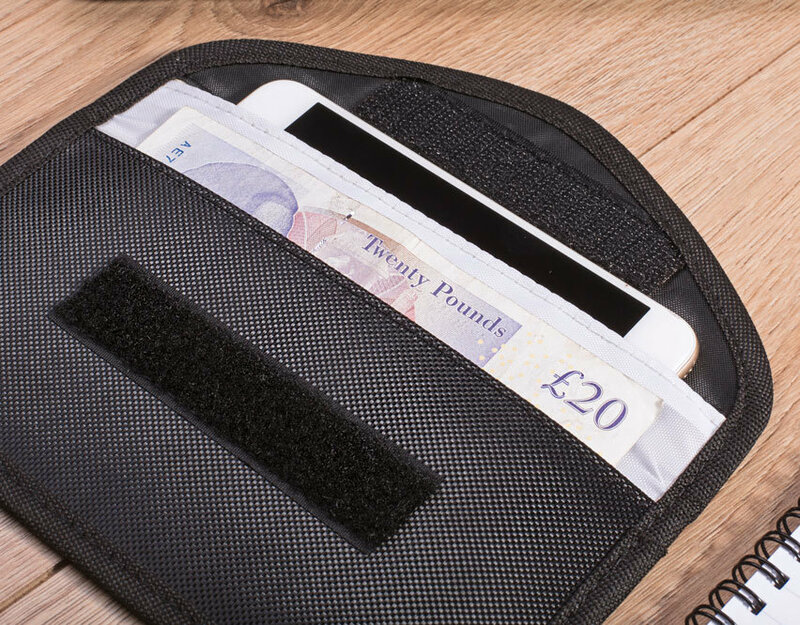 The Signal Shield pouch features RFID blocking technology, which can protect your smartphone, car key, credit, debit or payment card from unauthorised wireless data theft. We can only trust the claims of the product. Apart from that I like the design and its size. Has an area for the phone and cards and another for bank notes. Good size that just slips neatly into a inside pocket or bag. RFID (radio frequency identification) fraud, or wireless identity theft, is worryingly becoming more and more common. 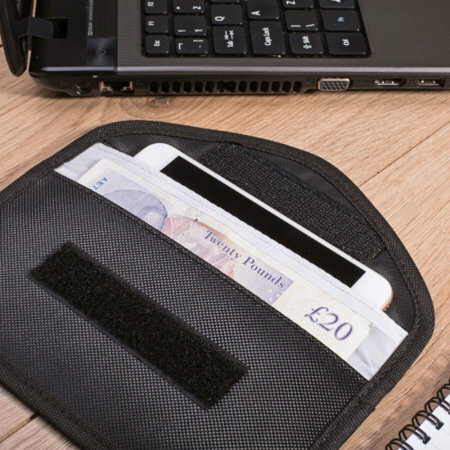 With certain illegal devices criminals are always around looking to steal your personal, credit or debit card information, which can be devastating both personally and financially. What is even more worrying is that by using RFID, the financial and personal data on your credit cards can be read remotely and without you noticing anything suspicious! 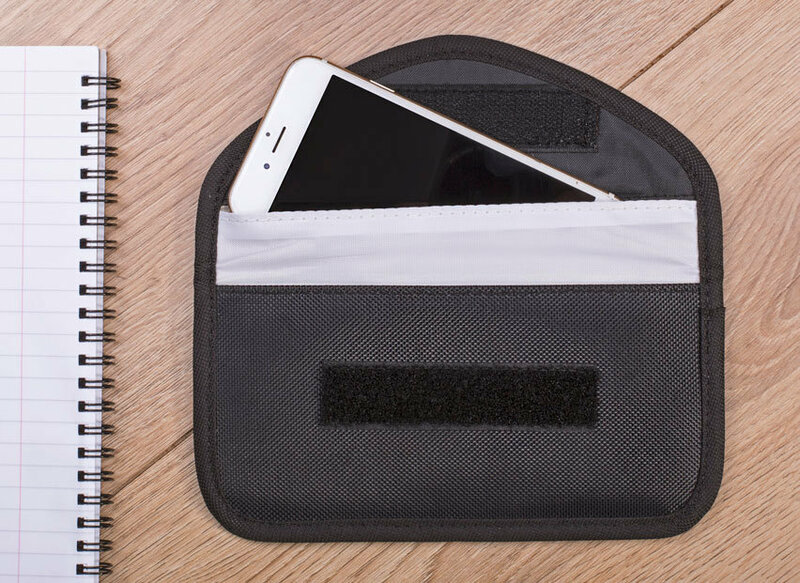 This pouch features an integrated RFID fraud prevention technology, which blocks the external wireless signals keeping your card secure and protected. 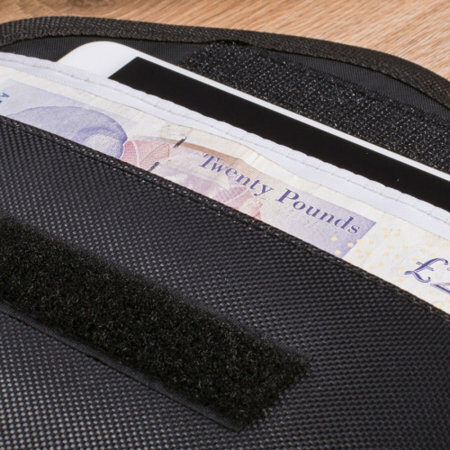 Have you ever been concerned about the safety of your credit and payment cards, which are a direct access link to your personal identity details and savings? 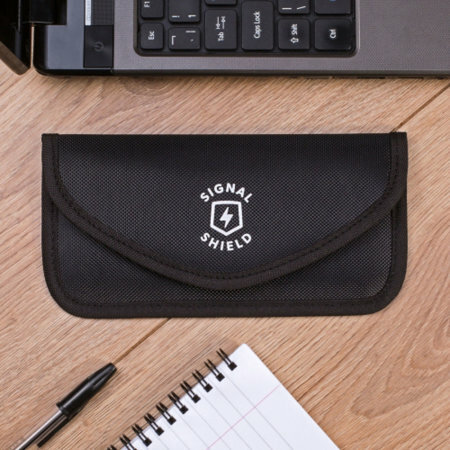 Due to the RFID wireless blocking technology, this simple, yet stylish looking Signal Shield pouch, will allow you to feel secure knowing that your smartphone, credit cards, IDs and other sensitive information containing cards are safe from the data theft! 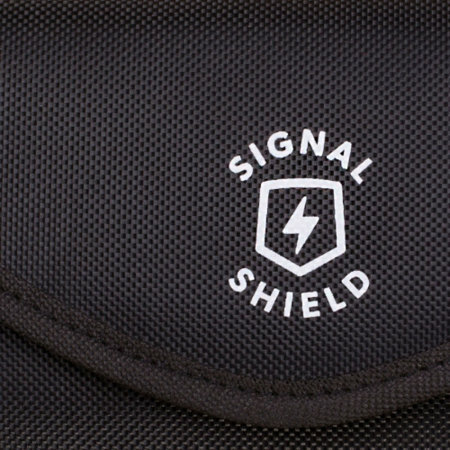 The Signal Shield is a prime example of an unique blend of simplicity, convenience and safety. 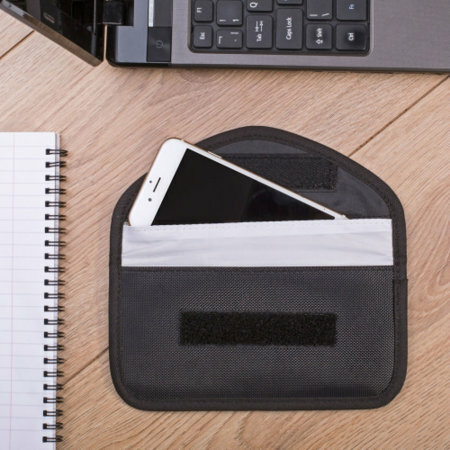 As this RFID signal blocking pouch has been designed with protection and convenience in mind, the Signal Shield can be used with smartphones, credit / debits cards, personal IDs and more. To avoid being distracted whilst driving, the Signal Shield is perfect for blocking notifications or calls from your phone and removes the temptation of checking your phone. Whether you prefer to minimise the weight and amount of goods carried whilst traveling, or just looking for a quick nip to the shop - this sleeve has got you covered. Simply slide in your credit card or smartphone into the Signal Shield, put it in your pocket and take it with you. or alternatively store it in your car's glove box. The RFID blocking technology will ensure your data's safety on the go!